As we continue work toward the end of our harvest for 2012, I was asked to guest blog for the Academy of Nutrition and Dietetics for their online Food & Nutrition Magazine. I was asked to reflect on what harvest means to me. The link below will lead you to my guest blog. 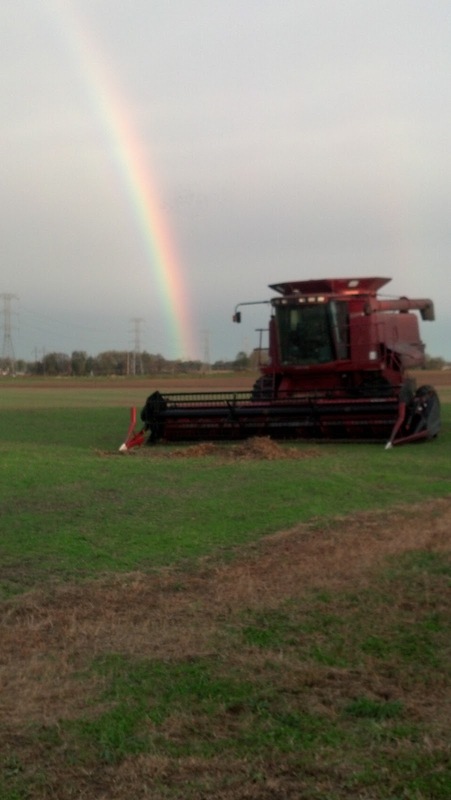 In this week post-Hurricane Sandy, I am even more grateful to be reaching the end of our harvest season in a few weeks. The picture below I took the day after Sandy blew over us. Our ground was so dry that most of the 10" of rain soaked right in. The rainbow reminded me that there is the sign of the promise!